4. 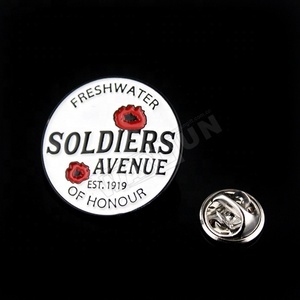 I need pin badge very urgent , how fast you can produce it9 - For most items, it will need only 3-7 days when in a rush. - If you just receive part of your products, some cartons lost or broken, please complain with the shipper and take a photo when you touch them. Let us know at first time, and send us the photoes, we'll re-make the lost items for you for free and make claim on this to express. 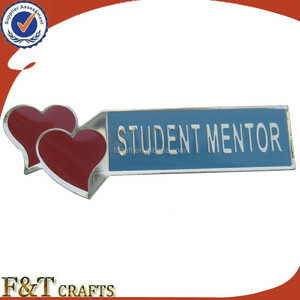 1:Beautiful shape and good quality 2:Available with engraved logos 3:Customer's designs are also welcome 4:Available in different sizes and shapes 5.Good quality&Competitive price Item Name: Custom school badge logos with crystal Material: Zinc alloy / Iron / Copper / Brass / Silver etc. lisa RFQ and our service Any question please feel free to ask me ! 1:Beautiful shape and good quality 2:Available with engraved logos 3:Customer's designs are also welcome 4:Available in different sizes and shapes 5.Good quality&Competitive price commemorative coins material: zinc alloy, brass, iron or according to customer&rsquo;s requirement. Process Stamping, Die Cast, Enamel, Polishing, etc. 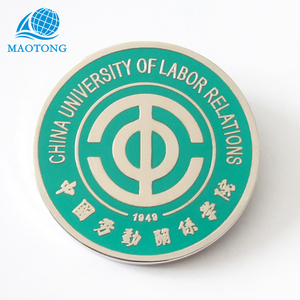 2, School Insignia Badge size, thickness, plating and material products. 4, Any other customized elements or special terms you request. 2.Change after order placed - when change before production, OK - when change during or after production, extra cost will be afforded by yourself if there is. 3.Wrong product - Our fault, we re-make for you for free or provide discount, even refund if you request. - Both fault, afford the re-make cost together, or we provide you a some discount because of our part fault. Wenzhou Vidda Import & Export Co., Ltd.
make your own logo customized hard/soft various shaped metal badge note: the price and time of transaction information is for reference only. Hard enamel is naturally more durable due to the quality of the enamel and the surface is polished to a smooth finish without the need for an epoxy coating. What about printed enamel9 Printed enamel is a different process and unlike soft and hard enamel, it utilises a screen print rather than an enamel infill. 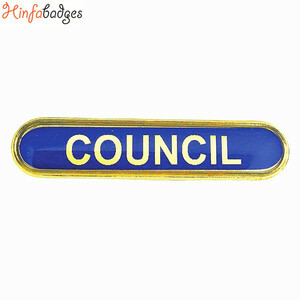 Alibaba.com offers 3,447 school badge logo products. About 34% of these are metal crafts, 14% are badges, and 1% are bag parts & accessories. A wide variety of school badge logo options are available to you, such as free samples, paid samples. There are 3,371 school badge logo suppliers, mainly located in Asia. The top supplying countries are China (Mainland), Pakistan, and Hong Kong, which supply 97%, 1%, and 1% of school badge logo respectively. School badge logo products are most popular in North America, Western Europe, and Domestic Market. You can ensure product safety by selecting from certified suppliers, including 316 with ISO9001, 207 with Other, and 160 with ISO14001 certification.